Follow in the footsteps of Alfie the sparrow, the star of ‘Alfie’s Night Out’ – a children’s book created especially for RAMM’s 150th Anniversary by illustrator Victoria Byron and writer Conor Magee. At Queen Street reception, head up the main staircase to Level 1, Gallery 17. 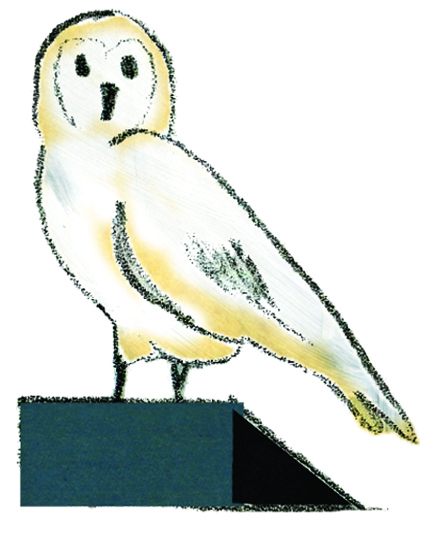 We're starting in Alfie's home – the birdroom, which we call In Fine Feather – to meet his friend the barn owl. Barn owls are distinctive and much loved countryside birds that are widely distributed across the UK. They are mainly nocturnal animals, meaning they usually sleep during the day and hunt at night. They have fantastic hearing and very sensitive eyesight, which allows them to hunt in very low light levels. There are two barn owls in this gallery. One is in the glass case, but the other is hiding somewhere else in the room. Now turn left into Gallery 18, Fly on the Wall. 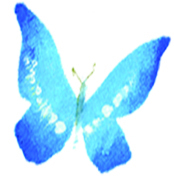 The beautiful blue morpho butterfly was collected in Peru and has travelled halfway around the world to become part of RAMM's collections. Try moving your head as you look at it – do you notice how its wings shimmer? This happens because of the way light reflects off of tiny microscopic scales on the butterfly's wings. It is called 'iridescence'. Now walk straight ahead (towards the elephant) to Gallery 10, Case Histories. Tigers were brought to museums so that people who would never be able to travel to India could have a chance to see one up close. This Bengal tiger is one of 39 that were shot by King George V in 1911. The other 38 tigers were donated to museums around the country. 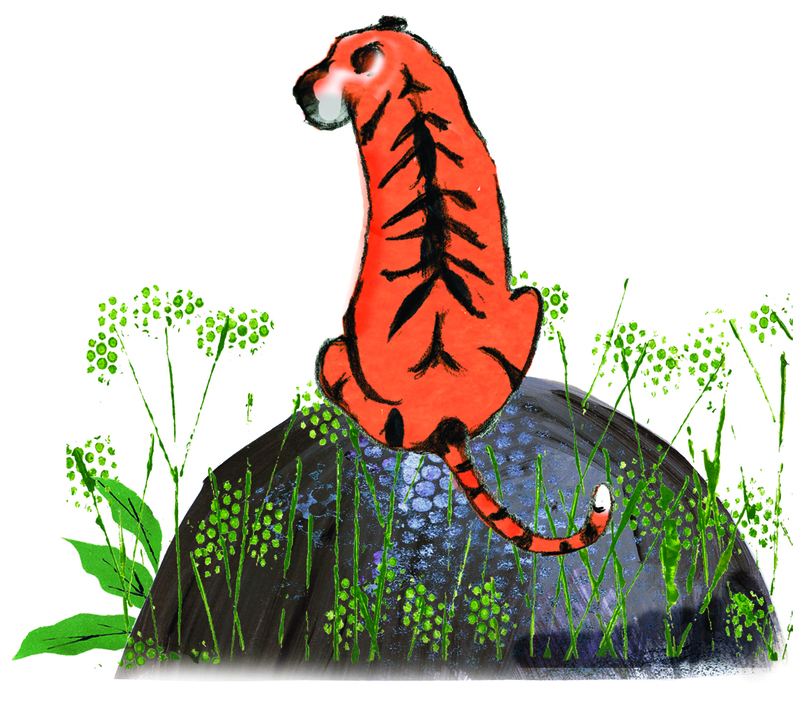 Today, Bengal tigers are classed an endangered species. However, thanks to the hard work of conservationists around the world, the number of wild tigers is now on the rise! Now walk back past the elephant into the room with the moose and the polar bear - Gallery 11, Finders Keepers? 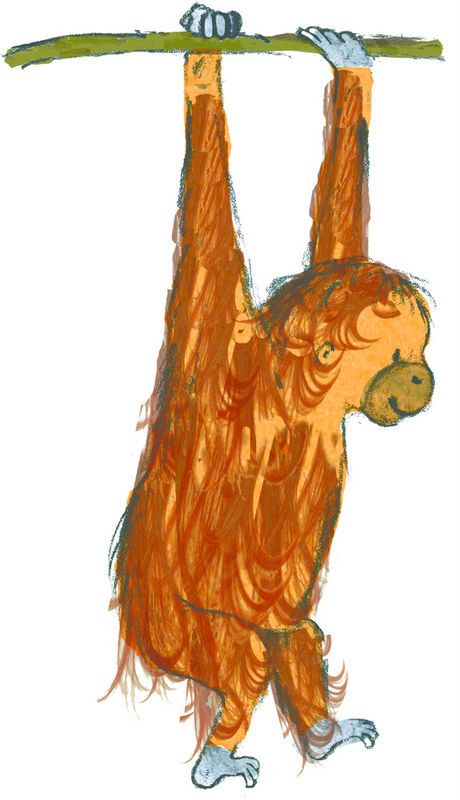 Orang-utans are currently only found in the rainforests of Borneo and Sumatra. They are the most 'arboreal' of the great apes, meaning they spend most of their time living up in the trees. They are also considered to be some of the most intelligent primates and have been extensively studied for their learning abilities. Sadly, both the Sumatran and Bornean species of orang-utan are critically endangered. Human activities such as development and deforestation are responsible for their rarity. This young orang-utan is from Borneo and was collected by hunter Charles Peel. When looking at the orang-utan, the World Cultures gallery is behind you. Walk through to Gallery 13, World Cultures. This totem pole's name is Ilchinik, in honour of a very powerful and successful whaler. It celebrates the connections between Exeter and the Nuu-chah-nulth of Vancouver Island. The pole is decorated with symbolic images and characters, such as Tu-tu-ch, the elder Thunderbird, who makes everything tremble and shake below him whenever he lifts his wings. Now come out of World Cultures and turn right into Gallery 15 (Ancient Worlds) and Gallery 14 (The Egyptian Tomb). Shep en-Mut was a real woman who lived and died in Ancient Egypt around 3000 years ago. Her body was carefully mummified and placed in a beautiful painted coffin. The remains of her body are still inside the linen bandages that she was wrapped in after she died. Please treat her resting place with respect. The Ancient Egyptians believed that death was the beginning of a journey to a new life and so to be prepared for that journey they buried food, clothing and other goods with the body. Now head back towards the main entrance. Go down the main staircase (by the pink wall) towards Queen Street reception and turn right into Gallery 1, The Courtyard (Ground Floor). Penny-farthing bicycles were popular in the 1880s and look quite different to the bicycles we have now. These machines were the first to actually be called 'bicycles' and were adapted from an earlier version called the 'velocipede' – although its nickname was the 'boneshaker' thanks to its very uncomfortable ride! 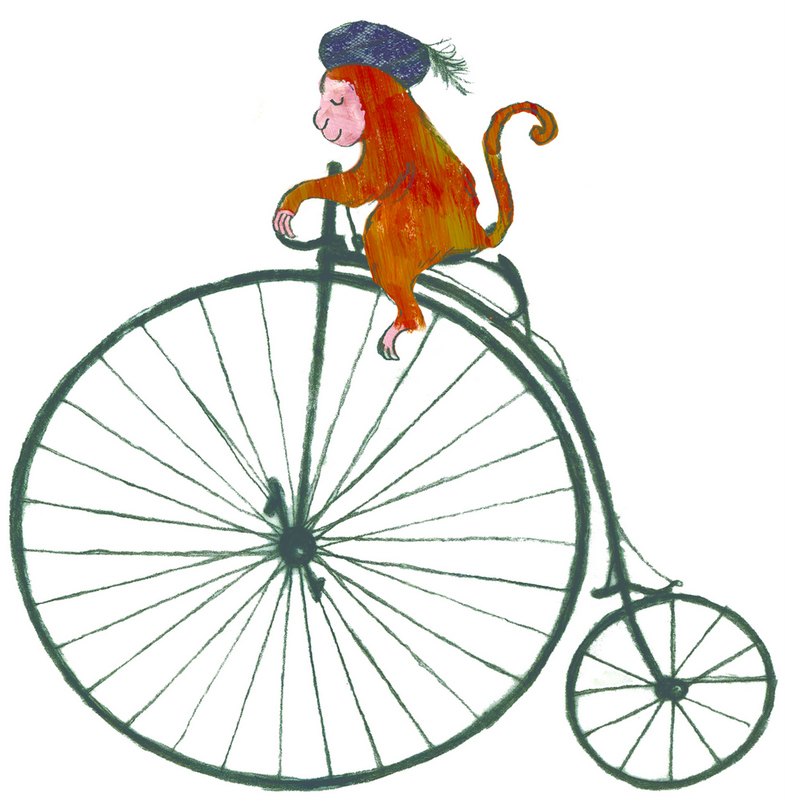 The nickname 'penny-farthing' comes from their slightly comic appearance, with the large front wheel being compared to the old penny coin and the rear wheel to a farthing coin, which was much smaller. Now walk along the corridor. When you see the display of stone handaxes turn right into Gallery 2, Down to Earth. The name Ichthyosaur means 'fish lizard', coming from the Greek ichthys meaning 'fish' and sauros meaning 'lizard'. When ichthyosaurs were alive, dinosaurs ruled the land and the oceans were dominated by marine reptiles (not to be confused with dinosaurs or fish). Ichthyosaurs were one such creature, streamlined and well adapted to life in the seas. It would have been a graceful yet deadly hunter, much like today's dolphins. Now walk through the entrance framed with stone handaxes into Gallery 4, Making History. In Alfie's Night Out the chiming of the clocks at 5pm is a magical sound that brings the museum's collections alive. This longcase clock strikes every hour, selecting from an astonishing six different tunes. Congratulations! You have reached the end of the Alfie trail. You can now head to the Shop at RAMM to receive your special sticker for completing the trail. This trail was inspired by our illustrated children's book Alfie's Night Out, which was created as part of our 150th anniversary celebrations. If you enjoyed the trail, you may enjoy reading the book, which is on sale in the Shop at RAMM. In it, you can read all about Alfie's adventures in the museum. The story 'Alfie's Night Out' follows Alfie the sparrow, who lives in the museum. One night, when all the visitors have left, something magical happens: the museum comes alive and Alfie goes exploring! Now it's your turn to explore the museum with Alfie. Copyright (c) 2019 Explore RAMM with Alfie. This website is licensed and operated by Explore RAMM with Alfie.